"Check out my latest blog post to find out more about my experiences as Assistant Director on Parallel Lines with Dirty Protest thanks to NtwTEAM http://community.nationaltheatrewales.org/profiles/blogs/parallel-lines-1-week-before-the-tech"
"Drowned Girl The play. I wasn't sure what to expect. This was only my second attendance at a one woman play and Kelly's previous work was not known to me before I sat down. I liked the way it was written. The content was sentimental rather…"
"Critical Chinwag: My first thought about attending NTW TEAM Critical Chinwag was how lovely it was to meet and chat to not only other NTW TEAM members but theatre community members I have lost touch. Also in attendance were some of the Dirty Protest…"
"Parallel Lines Day 3 Jan lead a fantastic physical (dance) warm up this morning to get the team moving and grooving before some concentration games which included a game I was previously taught by Becky Poole (Above Board Fitness) which she calls…"
"Plays in the Bag Writer Workshops with Dirty Protest This fabulous opportunity for budding/emerging writers is not to be missed! As the Dirty Protest tour of 'Parallel Lines' gets underway they are keen to support new work and writers…"
"Parallel Lines Day 2: Cup of Tea with NTWTEAM Fabulous cuppa with NTWTEAM Assistant Laura today... even though I am always on NTW Community and checking out current posts I have never appreciated just how easy it is to connect with TEAM and access…"
"Parallel Lines Day 1 Feeling like the first day of school, director Catherine Paskell (who I met at the interview) is an absolute dream at putting me at ease. The team is larger than I thought (Director, Producer, 4 cast members, Production manager,…"
Parallel Lines Day 2: Cup of tea with NTW TEAM- What is TEAM? I am most proud of my recent productions at the Richard Burton Theatre, Royal Welsh College of Music and Drama. In 'Alice in Wonderland jr.' I made a 6 ft high, 5 piece Cheshire Cat puppet (inspired by the English National Ballet) which was operated by three children and two adults. We also flew the Butterfly! In 'Oliver' I managed a cast of 45 performers, 10 volunteer crew, a volunteer orchestra, musical director and assistant director. This production was an epic and successful introduction into full scale musical theatre productions. I am also proud of my creative work including devised pieces stimulated by Psychological issues such as PTSD. I would love the opportunity to explore more Psychology within my work and choreograph for a professional musical. I currently teach musical theatre whilst seeking professional creative opportunities such as choreography and directing work. This morning we added Simon and Julia into the finalised version of the physicalized hair cutting scene. The tension was incredible. The music is fantastic. The performances are captivating. This is not a show to be missed! It will have you on the edge of your seat. There is so much to see you should see it more than once! Welcome to the WalesLab group! Have a nosey round and get stuck in. Just to let you know that we have another shortlisting day approaching on the 29th Nov. Give me a shout if you want to have a chat about a future project that you think might be right for WalesLab. Glad you enjoyed the workshop yesterday, thanks for coming along. Have a look around the group to see if there are any opportunities you are interested in and to see what other TEAM members are up to around Wales. 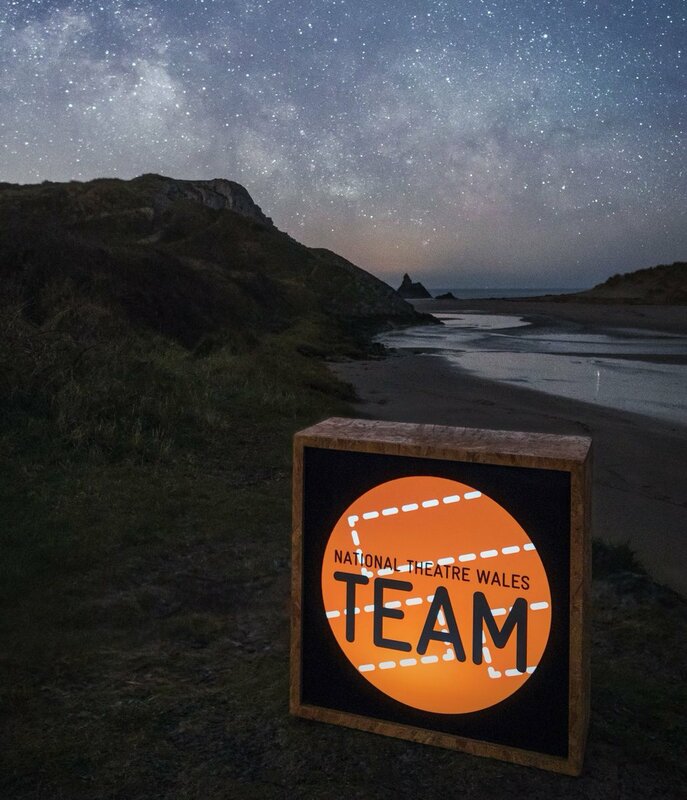 If you would like to know more about TEAM please feel free to contact me via the community or send me an e-mail to annapoole@nationaltheatrewales.org.